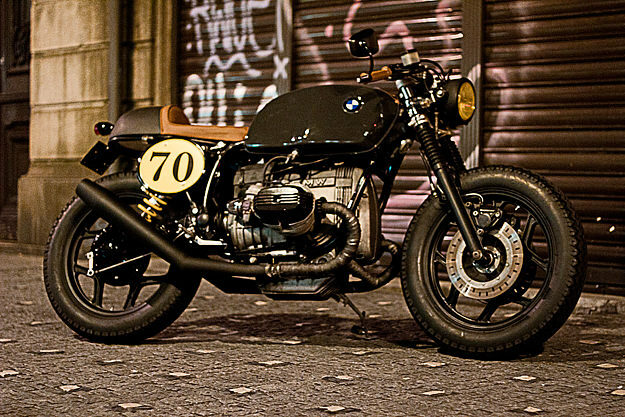 In Europe, the spotlight on new wave custom builders tends to fall in France, Spain and Italy. But Portugal is coming through the ranks quickly. 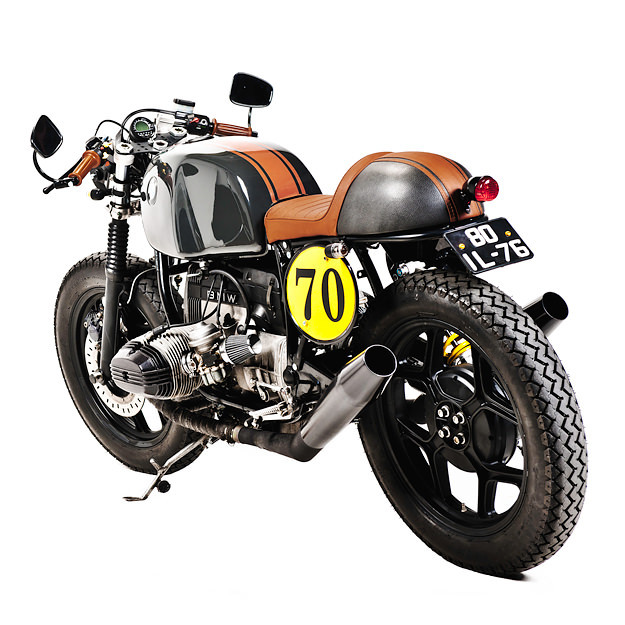 We’ve already featured the Triumph Thruxton built by Maria Motorcycles of Lisbon, and now we have this classy BMW R80 from Ton-Up Garage of Matosinhos. 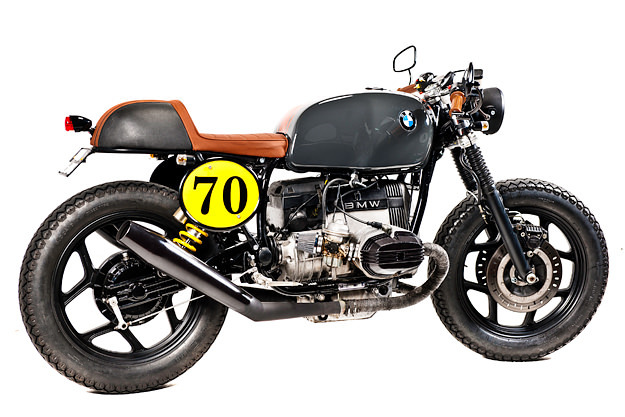 “We want to bring back the spirit of motorcycles from a few years ago,” says Ton-Up’s Pedro Oliveira, “and the design that made that era so special.” And this BMW R80, one of Ton-Up’s first projects, fits the bill. It started life as a Spanish police bike from the 1980s—hence the name “Dark Law”. The bike was in good condition and the engine was strong, but the machine was saddled with the big fairings and panniers favored by Spanish law enforcement. After stripping the bike back to its core, Ton-Up cleaned up the frame with fresh paint and shortened it at the back to accommodate the custom single seat unit, upholstered in brown and dark silver leather. 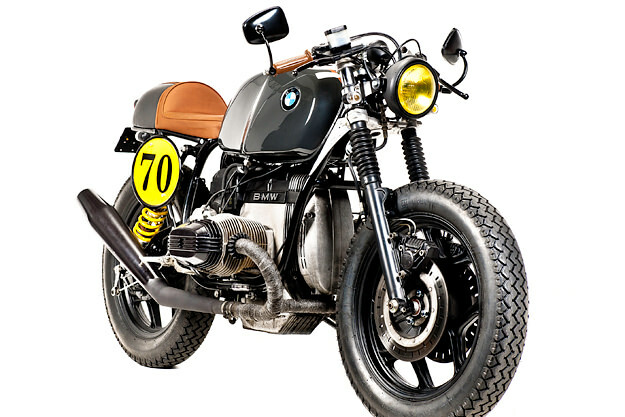 The R80 was then lowered a little, and fitted with a single rear shock from a modern superbike. Next on the list was a set of new foot controls and a full custom exhaust, upswept at the back to give the normally staid BMW R80 the sportiest look possible. “This isn’t a show bike,” says Oliveira. “It goes and handles well, the sound is very good, and it’s fun to ride on a daily basis.” A great start from a new name on the scene, and hopefully the first of many more sharp-looking customs from Portugal.